With news buzzing about the Samsung Galaxy S9, what can be expected from the phone that will be launched by Samsung? Some hints were passed by Samsung in its 2017 year-end Financial Report about the Samsung Galaxy S9. The camera and Bixby assistant will be the main features that will strengthen its top of the range Smartphones. Samsung will launch the Galaxy S9 on 25th Feb 2018 at the Mobile World Congress. March 2 is the date for pre-orders and it will be shipped in mid March according to ETNews. The Samsung Galaxy S9 will maintain the S8 look. 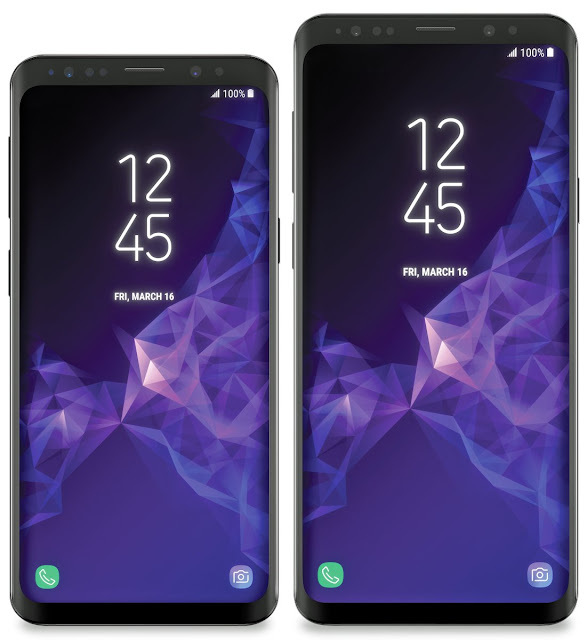 The front of the Galaxy S9 has same sized bezels above and below the display as that of the Galaxy S8. It will have the “edge” curved design with a single camera lens on the rear. There is also the fingerprint sensor, flanked by a flash unit and other sensors on the rear. Based on a leaked image of the package, the Samsung Galaxy S9 comes with a USB Type-C port and a 3.5mm headphone jack at the bottom of the phone. It also seems that the phone will have the IP68 rating. The camera will be the main focus of the Galaxy S9. The ability to capture motion with rapid shutter speed or depth of field and different lighting will be the additional features. The Galaxy S9 may use the Samsung Isocell image sensor for better images in low light by creating a large pixel. Video can be shot in 1080p at 460fps. According to the leaked image of the package, Samsung Galaxy S9 will have a super speed Dual Pixel 12MP OIS (F1.5/F2.4). It will have a variable aperture that will switch between F1.5 and F2.4 depending on the lighting. The leaked image of the package shows the Samsung Galaxy S9 will have an 8MP AF Selfie camera. The Samsung Galaxy S9 will come with a 3,000mAh cell which is similar to that in the Galaxy S8. Samsung Galaxy S9 will most probably have two different chips. For the US markets, the model will feature the Qualcomm Snapdragon 845 chip and the other international models will run on Exynos 9 Series 9180. The Galaxy S9 will be the first to have the Snapdragon 845 chip. The Snapdragon 845 will enhance image processing, an improved Gigabit LTE capable modem with 20 percent faster speeds than the modem on the Snapdragon 835. Besides the usual upgrades, the processor will have an AI processing platform called Hexagon 685 DSP. As far as storage is concerned, the Galaxy S9 may have 8 times the storage capacity of its predecessor. According to reports from Geekbench and a leaked image on Reddit, the Galaxy S9 is slated to have 64GB storage and 4GB RAM. The Samsung Galaxy S9 is likely to have the 512GB flash storage, as indicated by a December 2017 announcement by the company. The Samsung Galaxy S9 will have the band 71 support according to a Federal Communications Commission filing. Band 71 is basically a low frequency (600 MHz) band for better coverage in rural areas and large buildings. Since T-Mobile owns the 600 MHz spectrum, they will benefit from it. Reddit has posted an image of the packaging, which shows the Galaxy S9 with stereo speakers. Samsung in partnership with AKG will enhance the audio of the Galaxy S9. The headphones too are in collaboration with AKG. It may be in the range of $880 to $920. After its years long legal battles over patent infringement, Apple has rapidly erased Samsung’s mobile division profitability, making it very much unprofitable since every other Android or Windows licensee has reduced its margins in the phone, tablet and PC market. According to MacDailyNews, an iPhone having a larger screen option could hurt Samsung immeasurably more than myriad, unending traipses through the legal morass. According to Daniel Eran Dilger, he reports that while Apple’s critics have been giving the credits to Xiaomi for Samsung’s unprofitability, the South Korean giant’s plummeting profitability is not due to the drop in its low priced, high volume tablets and phones but an implosion of Samsung’s profitable, high end Galaxy S and Note models which directly have been competing with iPhones’. Samsung had made an announcement of its 73.9% drop in its mobile division profits for the Q3 and analysts have been keeping tab through 2013 on the company’s increasing competitive pressure from Apple on the high end as well as from high volume sales of lower end models being increasingly produced by Chinese companies especially Xiaomi. Samsung is going through a tough battle on both fronts though based on the numbers which the company has reported, the drop in profits that Samsung has suffered in the Q3 has been the outcome of the thermonuclear assault by Apple focusing on its core revenue and profit generators. Moreover Apple’s damage to Samsung will tend to get worse for the company as it remains are ravaged by the other Android licensees. Though Samsung’s profit has collapsed, IDC has reported in its smartphone market estimates that Samsung continues to lead the world in shipments as well as market share by a huge margin by shipping 78.1 million units, a YoY decline of around 8.2 percent. Samsung had also reported that there was a slight growth in shipment in its earnings release though the earnings declined QoQ since ASP decreased due to weak smartphones product mix with the sales decrease adding pressure on the cost structure. The profits reduced due to average selling prices going down since it was selling less profitable phones and it was getting expensive to build its most expensive phones due to reduction in economies of scales. Samsung stated that in the quarter, its phone shipments were driven by mid to low end products. As a result Samsung missed out on high end sales and while it was estimated that its total sales went down by 8.2 percent, analyst Ben Benjarin reported that its premium phones went down by almost fifty percent in the third quarter. It is said that Samsung has still not paid Apple the almost $1 billion judgement which they were ordered to pay back in the year 2012 for patent infringement though it was reported of a much larger $4.7 billion YoY drop in quarterly profits within its IT & Mobile Communication group which is a rough comparison to Apple’s operation and the outcome of this decline in profits is not a mystery. 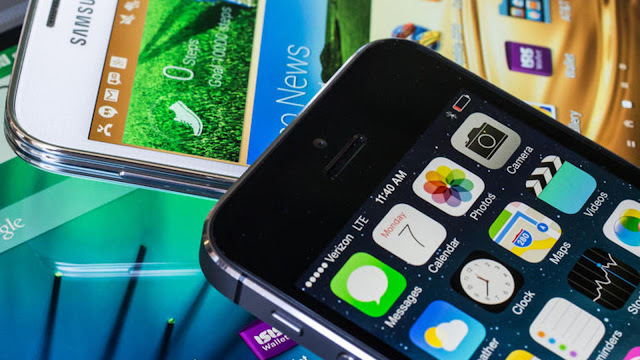 Over the years, the market for mobile devices has experienced several ups and downs. Different mobile Companies has faced legal and monetary crisis. In recent times, another legal complication has hit the world of smart phones. The war has ended overseas but it is still raging in the US. This new chapter has begun with the Apple Vs Samsung patent-infringement trials. Although settled elsewhere, the battle over the patent is still raging in the US. The US Patent and Trademark Office have most recently rejected all the claims Apple made about a patent against Samsung. This was done on the grounds that certain portions of the claim were not valid. The patent is about ‘autocomplete’ feature that help the user generate word suggestions based on what the user been typing. The final stand on this particular case is not yet out. The word on the street is that Apple will be able to present their case all over again with more and relevant information. The preliminary ruling will in no way have an effect on the judgement passed by the district court about infringement. The whole process to settle down completely might take a very long time. It could be days, months or even a few years. On the other hand, Samsung last Thursday have presented their case and the decision of the US Patent and Trademark Office to the court on the grounds that it is by far relevant to Samsung’s claim over invalidity defences for the 172 patent. Neither Apple nor Samsung are willing to comment on this issue. The legal fight that is currently going on is getting complicated over time and is no more about the money involved. Although, damages have affected both the parties involved. The real battle is over the market. Who get the rule the mobile market is something to look forward to. Either it could go to the South Korean Company – Samsung, who are the leading producer of smart phones or it could go to number two. For now, both continue dominating the smart phone and tablet market. All of it started in the year 2011, in the month of April with Apple filling a suit against Samsung. The initial trial was in the month of August 2012. Apple won the first round with nine-person jury supporting Apple’s claim and Apple was awarded compensation for all the damages caused. Samsung asked for counter suit but unfortunately, for them they did not receive anything. A new trial is under process to recalculate the damages involved in the month of March, 2013. Again, in the month of November, Apple was awarded additional compensation for the damages caused. The last trial took place in the month of May, this increased complications further for both sides asked for compensation. No decisions are taken as of now. The silence prevails for now. No matter what the decision is, it will change the market forever. As said the rumor a few months ago, Samsung has actually had novel methods of navigation with the Galaxy S4 who did not need the user touches the screen of the device. One of the first named Air View, which lets you swipe your finger on the screen of S4 to initiate additional input methods. For example, you can preview videos, see several tabs at the same time. 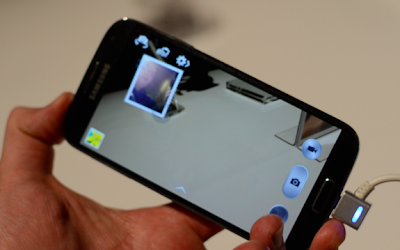 Air Gestures is also possible with the Galaxy S4, and in fact a cool method of interacting with the device. You can make a hand signal from left to right or vice versa to scroll through the images in the photo gallery S4, change browser tabs or change songs in the music player of S4. Left and Right actions are not the only input methods Air Gesture because you can also do up and down to scroll through a web article. View Air and Air Gestures rolled out as expected, although the two functions should be set in motion as it is disabled by default. The S4 could recognize the methods waved, from the open hand, a clenched fist, and even something as crazy as the salvation Vulcan were all recognized by the device. View on Air, tilt the S4 to scroll in an email or an article was as easy as they said, although I'm curious to see how this function works when you walk down the street and you accidentally tilt your device. Given the time that our eyes see our Smartphone, it's a little scary to think that we can look at our devices to interact with us in different ways. Galaxy S4 is equipped with facial recognition technology to know that we are doing, not to spy on us, but for two features: Smart Pause and Smart Scroll, as the rumors say. Smart Pause function is presented as a way for the Galaxy S4 whether you give your full attention to the device if not it should pause the video you're watching. As cool as it looks, I've never been able to run the function with the little time I spent with the device. I do not know if my glasses or lighting has something to do with it, but even turning my head completely, the YouTube video has not paused. I guess the ability of the device to "see me" with correct lighting is the key to make it work. Smart Scroll is another function of the Galaxy S4 watching you so that you can use while you are reading an email or web page to scroll text without having to touch the phone screen. It could be a very interesting feature if you hold your S4 with one hand and a drink in the other and you do not want to let go continue to read your article. Simply tilt the phone in the direction you want to scroll the words, and it will automatically done. Staying healthy is important for the vast majority of people, because we're in gyms, go out to run, and even do a basketball game from time to time. If you have your Galaxy S4 in hand, it will help you keep an eye on your health with very little interaction. After all, Samsung says its Galaxy phones are "made for humans", right? In its program S Health, there are three tools that will help you maintain good health. The first is a pedometer, which counts the numbers of steps you take in a day, but if you are on a hill or slope, which respectively requires more or less effort. The second is a tracker comfort level, which takes into account the temperature and humidity of the day to let you know, "Hey! You got hot and dripping sweat today. "Last reflects what you eat to count calories. 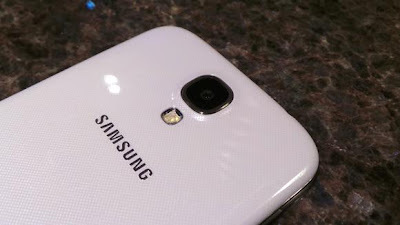 Samsung does not make a ton at the moment, but the Galaxy S4 created KNOX, part of SAFE. Both are software programs that make life easier for IT Departments that manage Smartphone, especially in a BYOD (bring your own device) where employees and firms want to separate the data and apps "professional" and "personal". For now, the company cannot see any private data, which makes employees happy. On the other hand, professional apps are completely isolated and IT managers can easily remotely wipe in case of theft, or if the employee leaves the firm. KNOX we covered at the MWC 2013, so you can see what it is. As you are probably aware, the Galaxy S4 will provide its users with unique features, but Samsung is also working on accessories to help you get the most out of your device. One of the first things is improving its S Covers, which is called S Cover View. When the S Cover View is combined with the Galaxy S4, it will display information about a small window that will give you the time, incoming SMS, the identity of a caller or the ability to accept or decline a call telephone. This allows you to take your phone to tell the time or accept or reject an incoming call much easier because you no longer have to open your device to completely manage any of these simple tasks. Before today, we knew that Samsung would give substance to its Galaxy S4. The company has diversified to provide phablets, tablets, mini-tablets, among others, but its range of Galaxy S Smartphone has always been their mobile products with the most successful to date. Galaxy S4 goes further than the Galaxy S3 is the most beautiful and powerful, while the phone will seriously consider those who do not yet have a Galaxy S device or iPhone owners when it will be available to second quarter of 2013. 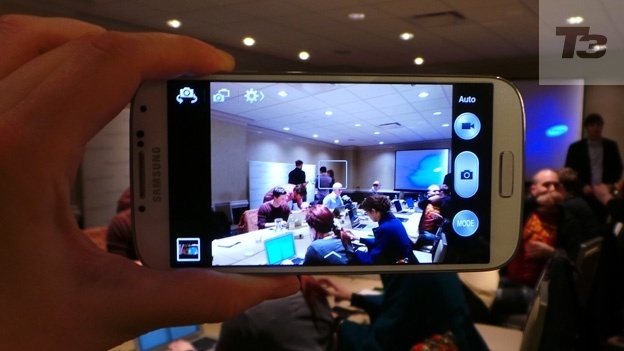 After several months of rumors and speculation that Samsung has put together with his Galaxy S4, now they have finally lifted the veil of secrecy. And the results are certainly impressive a display of what the company believes to be his future in the Smartphone business since the Galaxy S4 is equipped with a 5-inch Full HD Super AMOLED, a camera of 13 megapixels on the rear panel and run on Android 4.2.2. 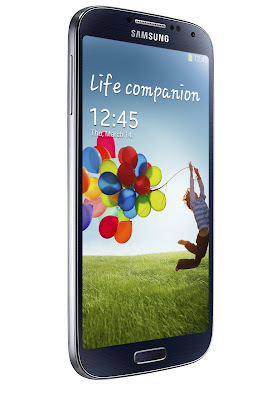 Galaxy S4 is loaded with a new software suite that is presented on hardware impressive. Samsung understands that beyond the impressive hardware, it is the user experience and user productivity that will ensure the success of its line of Smartphone Galaxy S series. Main processor: Samsung Octa 5 OR Qualcomm Snapdragon, depending on the region. Display: 5 "HD Super AMOLED (441 ppi +). Samsung reveal more about the technology of the screen. Samsung has not confirmed what the area will Exynos 5 Octa, but since the Snapdragon S800 is scheduled to be included in the devices in the third / fourth quarter, the S600 will probably be used in the U.S. The screen of the Galaxy S4 is also a Full HD Super AMOLED screen, which means it has a resolution of 1920 x 1080 at 441ppi more. If you used a Samsung Galaxy S3 already, S4 Galaxy will be second nature to you, even if the screen is slightly larger, brighter, and thinner but the overall weight is lighter than the Galaxy S3. There is an infrared transmitter. The S4 has a polycarbonate casing that provides a cool look to the device, although it was hoped that Samsung would finally introduced a new Galaxy S device without the plastic case. For the moment, we could not run the benchmarks and confirm performance figures, but here's what we felt when we used the Smartphone. Navigate through apps at a normal pace and a look that would be considered "extreme" when the S4 manages everything that I balance. The shutter speed of the camera, which is a problem on some Android devices, is extremely fast and there is not any lag, even when using one of the new functionality. When we launched the application, there was a slight delay from when we again press the icon of the app to the application that loads. Browsing the web, on the other hand, was a bit slow, but we guess it was mainly due to network connectivity issues. When web pages are loaded, scrolling through an article was fast. Samsung has relied heavily on the APN. 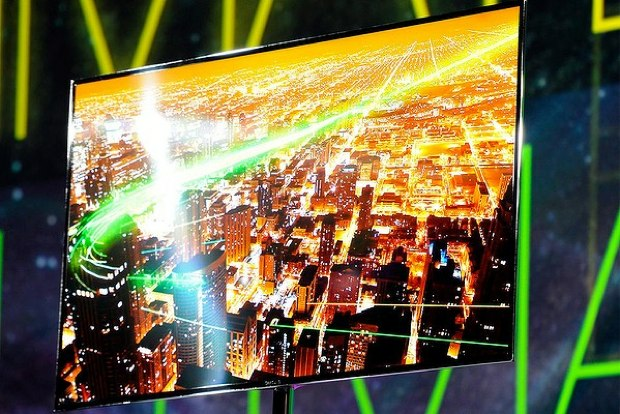 It is certain - it can take 13 megapixel photos and record videos at 1080p, but this is only the beginning, because Samsung has jousted many other things. 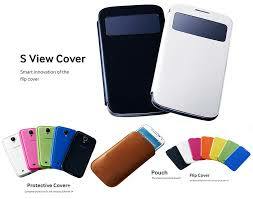 Firstly, the company has made its user interface to the APNs Galaxy S4, given the praise that Samsung has received. We also like the camera app Google Android 4.2 by default, including the function photosphere (360 degree). They also made improvements and adjustments, such as adjusting Shot Dual / Dual Recording. In DS / DR, you can take a photo and include yourself in the picture as a floating head in the picture. You can spice up your image with templates (models), such as a stamp, heart-shaped or fisheye to name a few. There are many other settings that will allow you to delete photo bombers (those people who pass in front of goal and spoil the photo) in a photo Eraser, and can create animated GIFs in Cinema mode where a person is immobile while the background is in motion, and a mode where you can take several pictures to include in a single photo, shot called Drama. With the Samsung Galaxy S4 you can communicate with everyone, anywhere. Translator Galaxy S4 allows you to communicate with people who do not speak your native language (10 languages are supported by the time of launch. The Translator is integrated into a number of communications programs such as its Galaxy S4 email client, kitten and messaging. We have already seen something similar like this with Docomo translator, and this is the kind of tool that makes a big difference in real life. The Galaxy Tab 8.0 is the main novelty of Samsung in this MWC 2013. This tablet 8 "takes its place between the Galaxy Note II (5.5") and the Galaxy Tab 10.1 (10.1 ") and competes directly with the iPad mini. 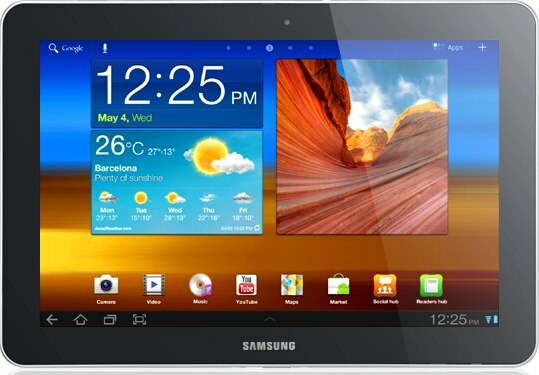 The Galaxy Tab 8.0 is probably not the most beautiful Samsung device, or the best finish. The white plastic is quite generic and adjustments are good. The 8 "screen displays of definition 1280 x 800 px, itself is of good overall quality - comparable to the iPad mini anyway. Precisely the Galaxy Note 8.0 is little heavier than the iPad mini and is also little bulkier (338 g and 21.01 x 13.59 x 0.79 cm against 308 g and 20 x 13.47 x 0.72 cm of iPad mini). Despite fairly thick edges and through the screen 16:10, we can nevertheless keep a full hand. On the other hand, we have to hold the stylus S Pen, for some few functions. It now works with capacitive keys navigation apps and some are able to trigger two actions depending on whether you fly screen with the stylus or be touched. Here with Flip board, fly screen displays today's headlines. Samsung puts his usual overlay on top of Android 4.1 Jelly Bean, with some new features like a remote control (Note 8.0 includes an infrared module onto the wafer) and mode "contrast-enhanced" for reading. The system operations are fluid and responsive, as might be expected with a quad-core processor 1.6 GHz and 2 GB of RAM under the hood. Many have mocked the fact that the 3G version of Galaxy Tab 8.0 phone can be used. A Samsung spokesman said that the Korean company has decided not to stifle the cellular functions of its mid-size devices - this was the case a few years ago with the Galaxy Tab. Samsung does not expect that that much big Note 8.0 to the ear, but guess it can be placed in a bag and connected to a Bluetooth headset, it will provide specific services. Tim Cook was not a big fan of the idea of attacking Samsung in court, tells Reuters in an article that discusses the relationship of brother enemies. Steve Jobs already lead war and perhaps thinking at the time that it would be shorter but Tim Cook was against the idea of attacking Samsung. Tim Cook was opposed to this strategy which materialized in April 2011 by an initial complaint in California. Cook's main concern was the importance occupied by Samsung among Apple's suppliers. According to a study, Apple had bought last year for $ 8 billion of Samsung components (6 billion). We know what happened and this war continues in court still, almost two years after Apple launched the offensive in response to the output of the first Galaxy S. The two companies still work together even though there are signs that Apple is seeking to diversify its sources of supply. The first complaint was a warning shot in a relationship began in 2005 when Apple was looking for a strong supplier in flash memory. Samsung held 50% of the market then became a partner "Whoever controls the flash will control the market of consumer electronics" Jobs reportedly said at the time, adds Reuters. Samsung, for its part, as the main supplier of Apple could watch from the front row of the importance taken by the iPhone and iPad as well as projected sales of Apple. More details are available when you hear yourself play a leading role in these markets. Tim Cook has never publicly stated that he was opposed to the decision of Jobs. Over the episodes of these trials, he had few occasions to hammer Apple will defend its intellectual property and claim that its competitors may invent their own solutions. But last year, the conference D10, he also clearly marked his little appetite for these repeated conflicts around patents, describing real factors distractions screws other business activity which he would willingly happen. The new Galaxy Note 10.1 has been dismantled by iFixit, with the conclusion of the operation, some good notes on access to certain sensitive components. 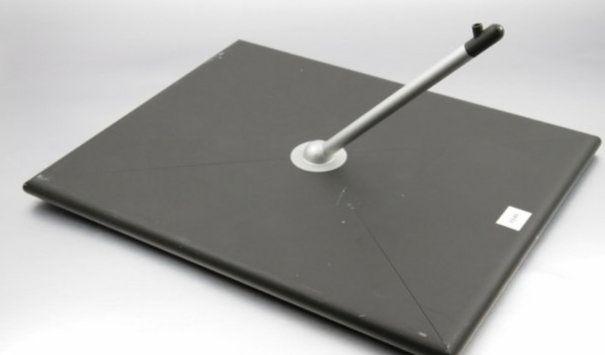 This pen tablet is distinguished by components fairly accessible once the rear removed and the operation itself is not complex. Unlike an iPad where you have to leave the usual hair dryer to loosen the shell of the front panel, and then remove the LCD screen to access the rest of the interior. The glass facade is not attached to the LCD, which can significantly reduce costs when replacing the first element. No battery no longer stuck, it can easily take his own, but iFixit notes in passing that it is back to that of the iPad 3, with 25.9 watt-hours against 42.5 watt-hours, 8am announced at 10am against Apple. Good points also on the screws as standard. In the end, where the new iPad came out with a poor 2/10 for the ability to adjust it in service and change some parts, the Samsung tablet 8/10. The landed a tablet that is accompanied a funny ad, with the main role James Franco, the man who cooked fried eggs very long without burning. New pieces recorded in anticipation of the trial Apple / Samsung which opens July 30 in California, show different iterations of the iPad and iPhone (then, in 2004 for the iPad, which are in some Again the words "iPod"). The Korean took advantage of the way to groom the California, saying the design of the iPhone has been widely influenced by the precepts of design came from Sony. The unpublished photographs show the tracks tested by Apple designers, including forms phone or integration, imagined a time, one foot on the back of the tablet. Apple CES 2012 = 2013? Motorola v Apple, Samsung v Apple v Apple HTC, Apple and others v: the small world of mobile computing uses the courts as others used the playground, is castagna to outdo, until sometimes to forget the reason for the dispute. Patents, registered designs, injunctions, appeals, motions, etc.. : Jargon sometimes prevents a clear understanding of these cases. We offer a development summary. 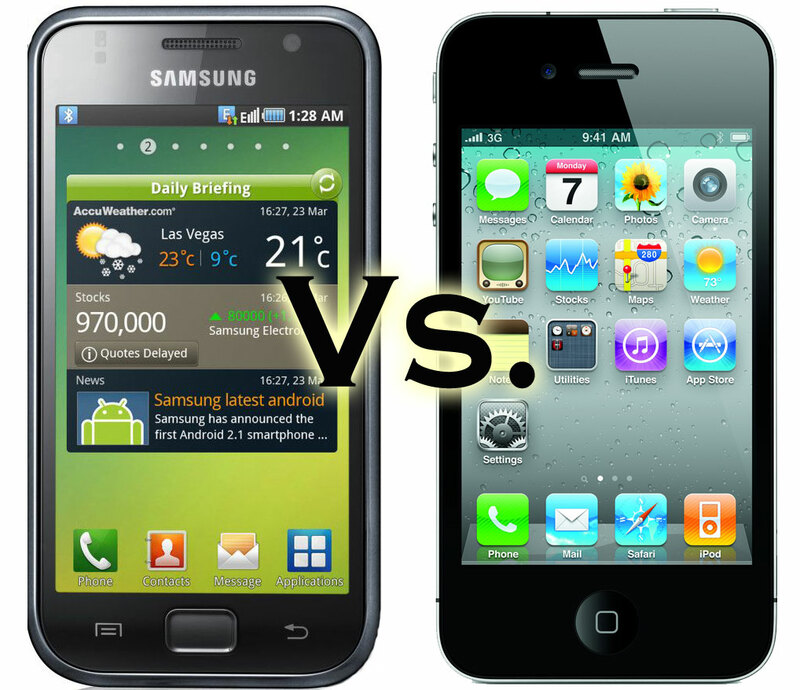 If the short history of Apple in the smartphone market is known to all, that of the Samsung may be a little less. More discreet Apple, Samsung was not necessarily have to rule the smartphone market. Founded in 1938, the company began as a simple merchant indeed noodles. 70 years later, Samsung has become a chaebol, a conglomerate of 83 companies making 13% of exports of South Korea. At a hearing before the Federal Court of Australia, Apple and Samsung have each submitted new arguments and further complicated their skirmish. 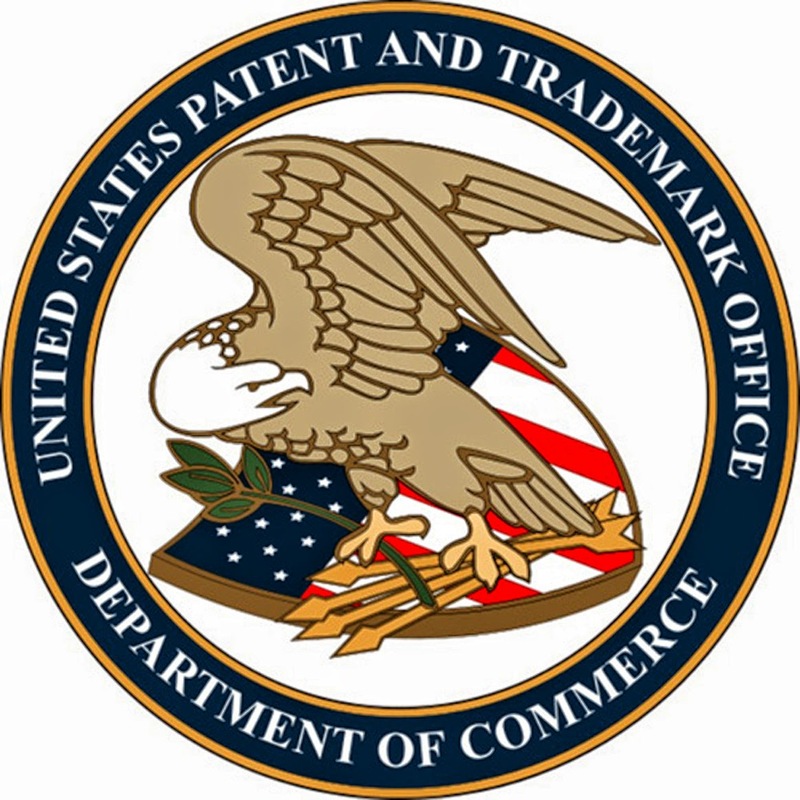 Like the Netherlands, the United States, Italy or France, Samsung is trying to obtain a suspension of sales of the iPhone4S for patent infringement on UMTS. In none of these countries, however, the Korean group has yet come his way. ITNEWS reports that Apple's lawyer appealed to the French court to these patents. The intention is that they have been developed under the auspices of the European Institute of Telecommunications Standards, which Samsung is a member. Implying again that they are licensed under FRAND (on a basic fair, reasonable and non discriminatory). But Apple is also said to want to defend the position that it does not infringe any patents. 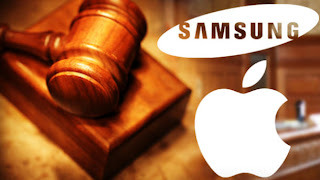 Finally the lawyer was surprised that Samsung calls for suspension of sales of the iPhone rather than an extra charge since, based on different is the lack of payment of royalties for the use of these patents. Counsel for Samsung intends to contest the FRAND application of the system in case of Australia. It also states that Samsung has opened the door to negotiations that have been denied by Apple. Lawyers for Apple and Samsung gathered today in Australia. 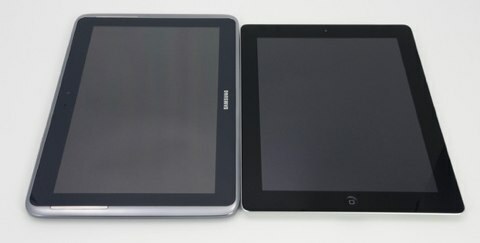 First point, the prohibition of sale of the Galaxy Tab 10.1 "has been extended until next week, time for Justice Annabelle Bennett disentangle the arguments of each party and whether Samsung will launch its Tablet in the country before the trial on the merits expected in late 2011 or early 2012. The manufacturer has already delayed several times this event, originally scheduled on August 11. The final deadline for acceptance on the market was that of September 30. Richard Lutton, chief adviser for intellectual property issues at Apple, has revealed that trade between Apple and Samsung around the patents had started at the initiative of Steve Jobs in July 2010. 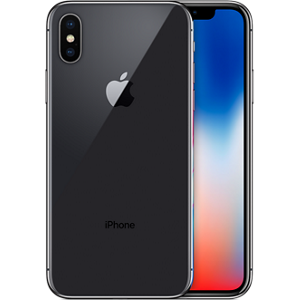 After estimating the range of smartphones Galaxy showed "striking similarities" with the iPhone, while Apple CEO had contacted the Korean group. A good way given the close commercial ties and that linked the two companies and "to give them a chance to come into line," said Lutton. But Jobs did not participate in subsequent meetings. An approach to the summit did not work, as proof the launch in September of that year the first Galaxy Tab in Germany and other materials the following months. 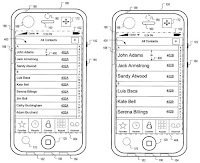 The complaint of Apple Australia was originally on 13 patents, the number has since been reduced to 5, and in the lot, certain functions or applications were withdrawn by one or other of the protagonists. Samsung has removed an algorithm that allowed the shelf to detect if a contact on the touch screen was intentional or not (to produce an action). "We can live without this feature your Honor, I told you it was trivial," commented David Catterns, counsel for the Korean group. 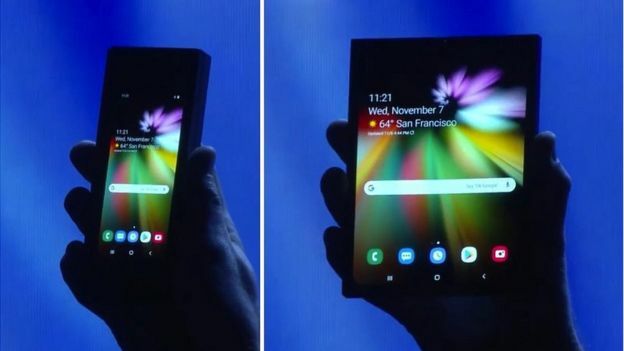 Samsung has also removed from the Australian version of its tablet a rebound effect in the animation produced by zoom on an image or document. Another loss - this time at the initiative of Apple - the system for unlocking a cursor that is moved on the screen (it was previously retoqué the Netherlands). Australian shelves will also receive mention in front of their manufacturer, a way to better differentiate the iPad. 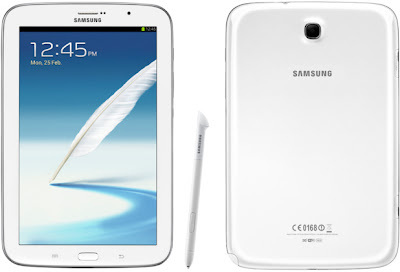 According to the country, the Galaxy Tab 10.1 "is not always presented with the Samsung logo on the screen (example below with the U.S. model that does not, it appears that back). Samsung said Apple had conducted a total of ten changes to the Australian model, including seven on the interface. 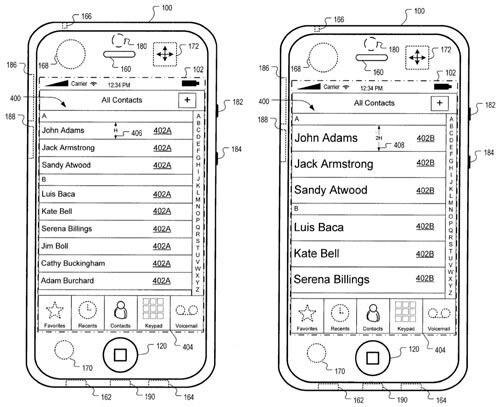 Two violations of patents are still cited by Apple. One of the manufacturing process of capacitive screens of the iPad 2 and the new Galaxy will also use Tab (it will be noted that much progress has been achieved between the two generations of iPad for their finesse). The other is how to correct the movement of the user's finger on the screen when performing a vertical movement. Stephen Burley, Apple's lawyer, defended the idea that Samsung was trying to push the latest possible a decision on the merits in order to lift the temporary injunction. He called for a continued ban of sales in Australia, arguing that even a temporary permission would be detrimental to sales iPad "It [the Galaxy Tab] will be launched on the market at the speed of a horse gallop, it will take sales iPad so rapidly that by the final ruling, the impact of patent infringement will be at the expense of Apple and Samsung to benefit. " Rob Small, marketing director for Apple Australia, concurred, "Once customers have their Galaxy Tab and have invested in apps for the tablet, we have permanently lost for other applications, because they become Android users and they can use their apps on the iPad. It is this vitality that underlies the success of Apple, which can be undermined by the violations of the Galaxy Tab. " According to IDC Apple shipped 420,000 iPad Australia and New Zealand (mostly in the first) in the second quarter, double the previous one. David Catterns Samsung has argued that his main competitors were the other manufacturers Samsung tablets Android rather than the iPad. Whether customers choose between Android and IOS, and it was the Android market as a whole trying to bite into the majority market share for Apple in Australia. "People will choose to stay because they love Apple Apple operating system, iTunes and so on. Or you want a completely different system and you will on the side of Android. " To which his opponent, David Burley, countered that Samsung sought to play down the influence of the tablet to escape the dictates of justice. The Korean group, according to Burley, the marketer would pad in the direction of the iPad and beyond the shelves of other manufacturers such as Acer and Android Motorola weighed nothing. Judge Bennett then issued a statement "I understand there point of view of a concession that Apple Samsung will be a player on the market feared. The objective of the Galaxy Tab will double - to develop Android market and more broadly - in the first instance at least - it will be at the expense of Apple. " Competition with other manufacturers Android is only secondary to begin with. Apple is seeking a ruling on the merits at the earliest to avert the risk that the injunction lifted or Samsung not so modified versions before this trial takes place. The judge, in view of reducing the number of patents involved, suggested that November would be possible for this trial. Samsung for its part said it needed time, at least until next year to tie his record. He also asked that the maintenance of the injunction on sales, claimed by Apple or rejected. Annabelle Bennett said it would give its decision only on the Galaxy Tab 10.1 "and any other product. A new hearing on this extension of the ban on the sale is expected after next week. The legal battle between Apple and Samsung has left the Netherlands to head back to Germany, where a preliminary decision was made today around the shelves of the two manufacturers. The sale of the GalaxyTab is again banned in Germany, pending a trial on the merits on September 9. Judge Johanna Hofmann-Brueckner of the Court of Düsseldorf has nevertheless made it clear that it could confirm this decision. But this would only affect German soil, not Europe. According to a report from Bloomberg, the judge specifically stated "There are many other ways to design a tablet, as amply demonstrated by the market. We believe that the European rights to the design of Apple imply benefit from good protection, if not very large". A very different assessment of the Court in The Hague in the Netherlands where Apple got nothing for the moment the issues of hardware design. A lawyer for Samsung, and had interpreted the judge's decision "As he rightly pointed out, human design of Apple cannot force us to make bad products technically. Many design elements are simply necessary if you want to make a tablet. " It also appears that cases of image manipulation of the tablet from Samsung to give it the same dimensions as the iPad not particularly interested in the judge, is on his side Florian Mueller at FOSS Patents. She asked about it by counsel for both parties to discuss among themselves about it, but outside the court. The restoration of this injunction, decided to start on August 9 and then lifted a week later, is now valid until September 9. In parallel, Neelie Kroes, Vice-President of the European Commission and answer questions digital answering a question on his Twitter, said its services "closely followed the Dutch and German records." Neelie Kroes has been active in business between Brussels to Microsoft. As reported by Bloomberg, Apple's lawyers have obtained justice that the Australian release of the Galaxy Tab 10.1 be postponed until the trial between the two companies in the United States for patent infringement and models were not set. Apple got the injunction after the announcement by Samsung for ten days as the launch of the tablet was imminent in Australia. This is the first time a product is locked Android following a court decision, while as pointed Florian Mueller, Apple and Samsung are competing in 11 classes from 9 countries on 4 continents. According to Apple, the Galaxy Tab violated ten of its models and patents, including one on the touch technologies: to limit the scope of marketing of the tablet to limit potential losses to Apple because of this trespass Industrial. Apple's lawyers said they were ready to reiterate this demand in other countries where Samsung had launched its tablet, without specifying which ones. The thing was done in the rules and the two companies agreed on a Memorandum: Samsung cannot sell or even advertise the Galaxy Tab 10.1 in Australia until the situation is not resolved in the U.S. If Apple were to lose his U.S. trial, the Samsung agrees to indemnify for losses estimated following the withdrawal. Samsung told Apple three copies of the Australian version of the Galaxy Tab 10.1 for expertise: the Korean company does not defend the American model and hopes to pass between the drops with a local version, revised, which would be complicated to seen patents and models involved. The next hearing was set for Aug. 29 by the judge responsible for the file: this will be to review the first decision and set a date for a possible local trial. Meanwhile in Taoyuan, Peter Chou, HTC's CEO, wanted to reassure investors after the adverse decision of the ITC in the lawsuit pending against Apple. He tried to downplay the decision by U.S. authorities: they say that HTC has certainly violated two patents from Apple, but this would be a "distraction" no possible impact on the activity of HTC as Chou. The CEO of HTC has finally reaffirmed the strategic acquisition of S3 Graphics: its patent portfolio could be a bargaining.